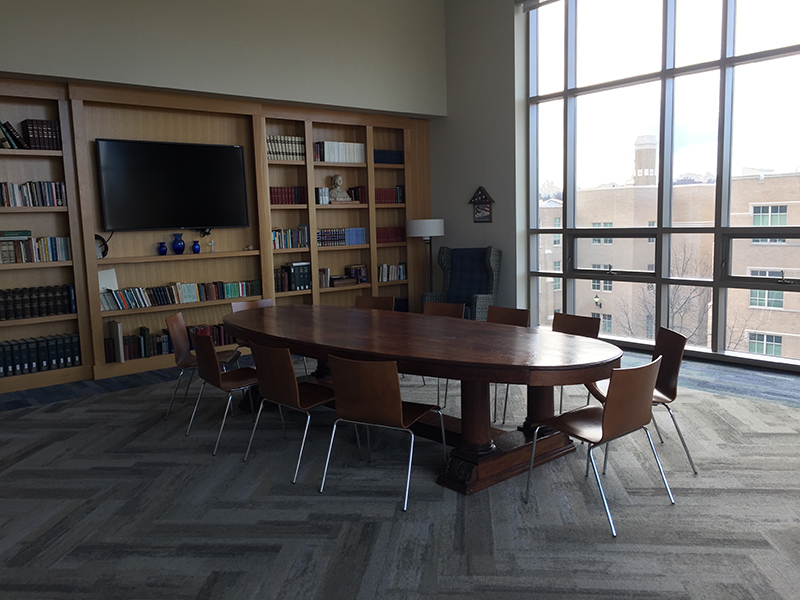 A restricted-access suite of study, living, and kitchen spaces on the third floor of Alter Hall provides Honors students a place for quiet study, educational programs, and social gatherings. Many Honors classes are taught in the seminar rooms adjoining the Lounge. Available for all honors students. A range of programs, including Rome and London, offer students credit for multiple courses while experiencing the art and culture of a foreign city. Students in the Philosophy, Politics and the Public honors program receive a grant toward a junior year summer studies program in London, Rome, or Washington, D.C. Reserved residence hall wings are available as an option for honors students in their first year (only). Honors students make a mutual commitment to serious academic study and agree to extended quiet times in these wings. They can also serve as resident assistants (RAs) and assist in programming special activities targeted toward honors students. These activities emphasize faculty involvement and offer opportunities to serve others in an academic capacity. To live in the honors wings, first-year honors students need to indicate their preference on the room reservation form, which is sent after admission is granted to Xavier. These students are elected by their peers to advise the directors of the honors programs. The council also plans social and educational events for honors students including poetry readings, film festivals, conferences, dances, cookouts, dinners and prayer services. Honors students are advised by the directors of the honors program in which they are enrolled. In addition, they are given priority each semester in selecting and scheduling their courses.